Simply stated, an Coordination Center (a.k.a. 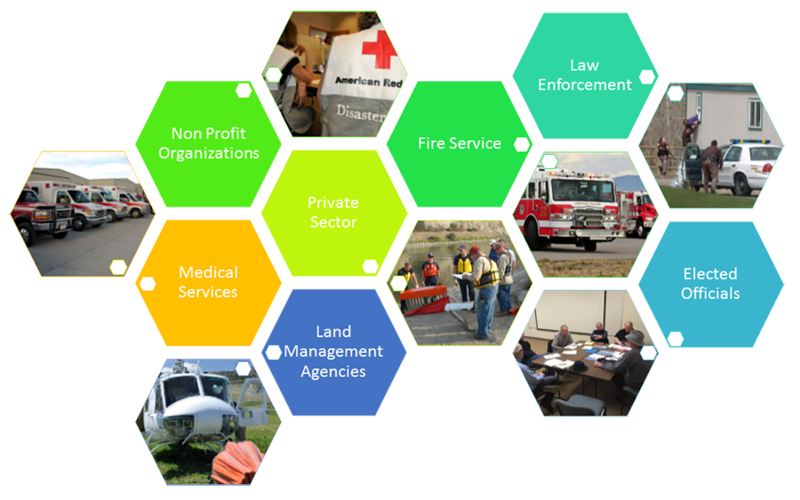 EOC) is a facility in which representatives from a variety of agencies to jointly operate out of to coordinate with each other in person. A common mis-perception is that the Coordination Center runs the incidents, this is incorrect. An Coordination Center’s role is to coordinate among multiple incidents or agencies, and to support incidents logistically. 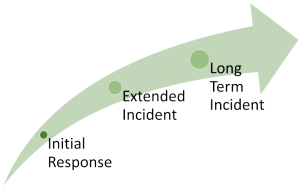 Typically each incident has an Incident Commander that is responsible for that individual incident. Coordination activities at an Coordination Center are carried out through many activities. 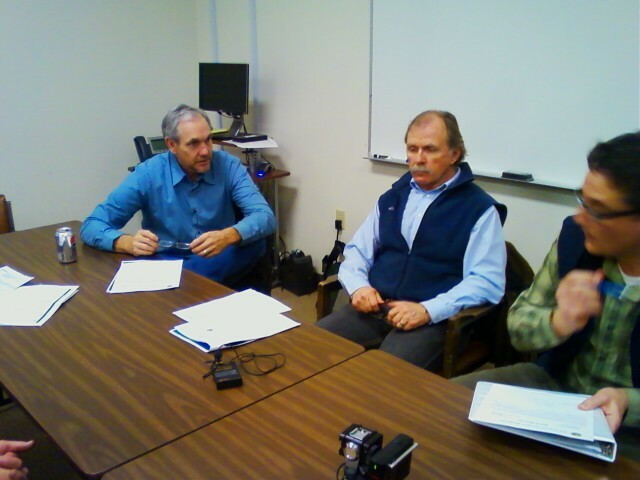 The Gallatin County Coordination Center facilitates coordination meetings/ conference calls to ensure all agencies are recieving the same accurate information. We also produce a document called an Situation Report. The Situation Report provides a snapshot of the current situation and the anticipated upcoming actions/ needs. This document is then disseminated to the appropriate agencies on a regular basis. 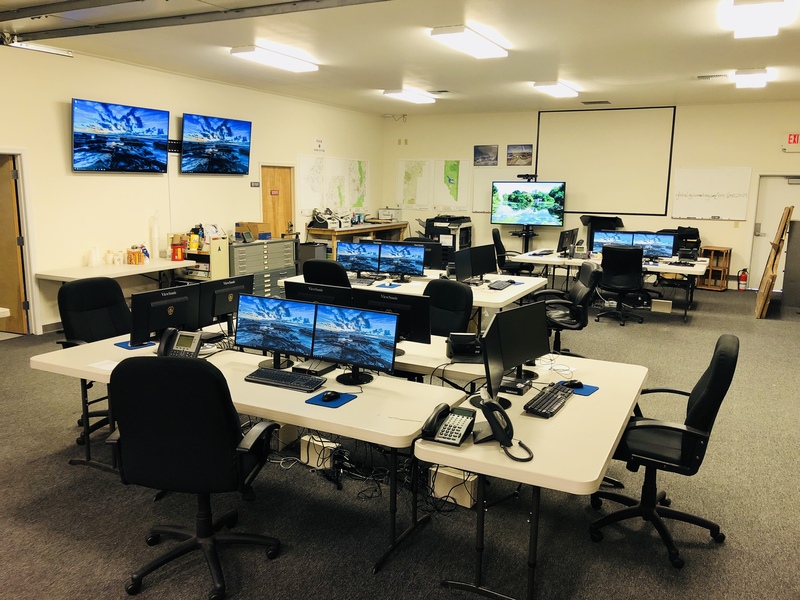 The Gallatin County Coordination Center has workstations for representatives from a variety of disciplines (fire, law, public works, etc…) to work at. These representatives then serve as the point of contact for their respective discipline in the Coordination Center. They exchange intelligence and logistical needs between the agencies in their discipline and the Coordination Center. 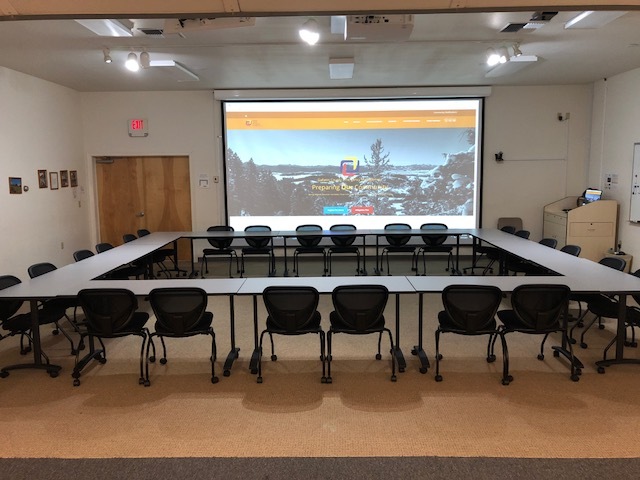 With representatives from the involved disciplines in the same facility, it allows the representatives to quickly coordinate and pass information directly between themselves. 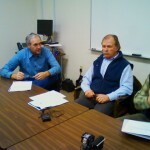 If a need can not be met locally, the request can them be passed on to the state, or a neighboring county, to be filled. The Coordination Center also provides a single location for elected officals and agency executives to operate out of. By having these key people in one location, it allows for them to have real time information so rapid policy decisions can be made. 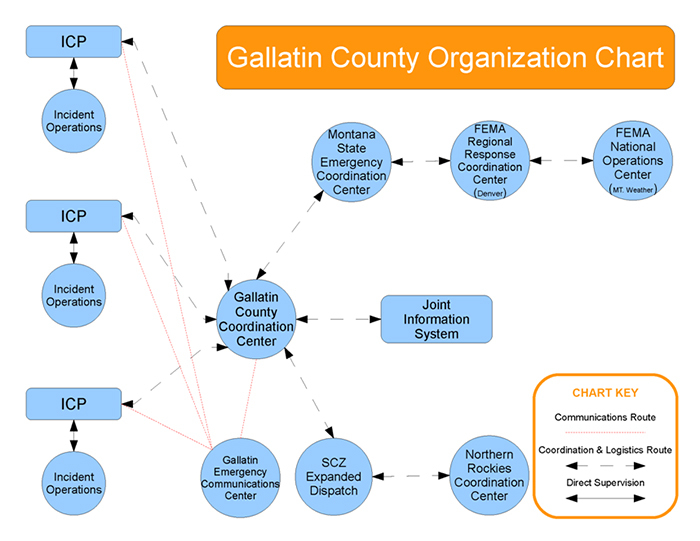 Gallatin County utilizes the Coordination Center on a regular basis for activities other than large disasters. 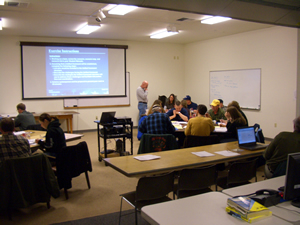 The facility is frequently used for special event planning, training, meetings, seach and rescues, and more. 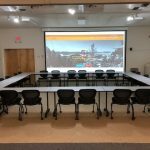 What is special about an Coordination Center? Our Coordination Center is setup to operate independently during a disaster. To accomplish this we have redundant power and communications systems. The facility is also fully equipped with computers, phones, copiers, and more. 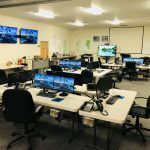 We also house a redundant 911 dispatch center and amateur radio room.